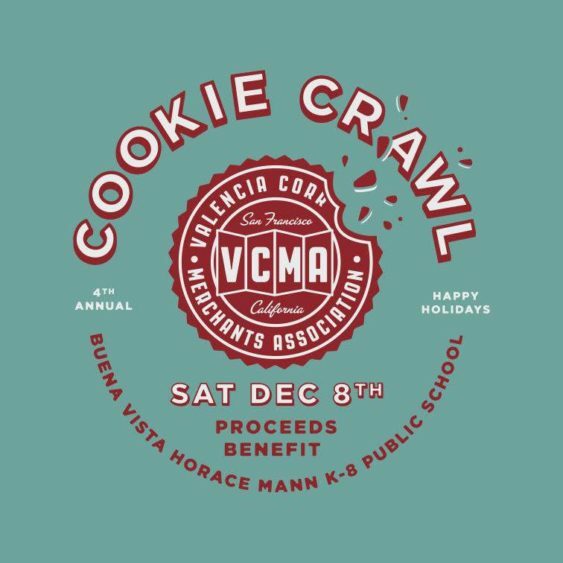 You all are cordially invited to join the 4th Annual Valencia Corridor Cookie Crawl. 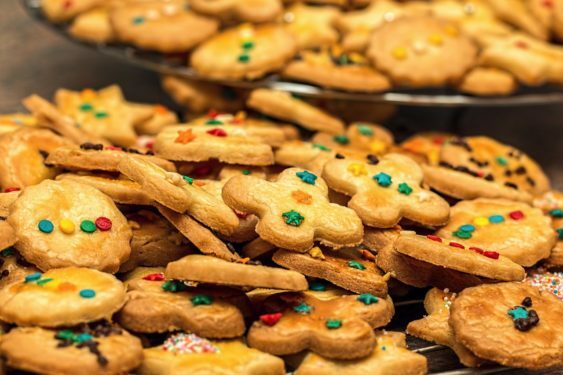 Get in the holiday spirit by adventuring through the neighborhood hunting for cookies and discovering other holiday surprises as you go. Come down to Valencia Street on Saturday the 8th anytime after noon, donate $10 – $20 (just once) at any participating merchant, and receive a cookie bag plus a map from them. Then spend the rest of your day exploring the Valencia Corridor, looking for balloons to guide your way, picking up cookies at any of the participating shops, meeting neighbors, shopping exclusive discounts, and discovering new spots along the way. This year, every crumb of the proceeds will go to support Buena Vista Horace Mann K-8 Public School, located right in the neighborhood.